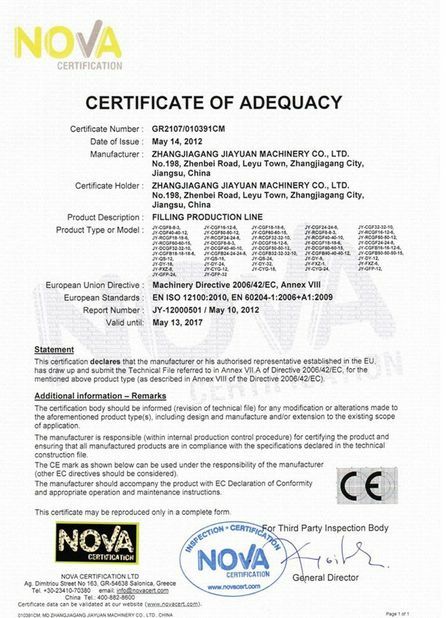 Quality Control - Zhangjiagang Jiayuan Machinery Co.,Ltd. 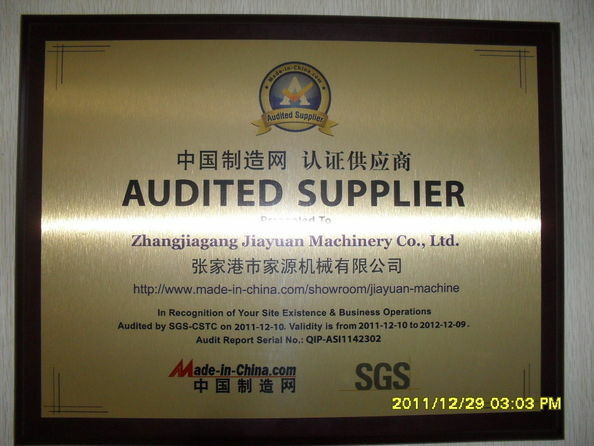 Zhangjiagang Jiayuan Machinery Co., Ltd was established in 1998. It is a 16 years history in liquid beverage packing industry as professional manufacturer which incorporates with industry and trade. In 2005, we passed the ISO9001 certification. We have our quality control practices and procedures which embodied in the strict product quality control management, to ensure that each machine delivered to customer have high quality.